Currently, the U.S. spends more than $2 billion every year on snow-and-ice control, and applies more than 20 million tons of various salts to the nation’s roadways. If you take a look at the budgets of these agencies, incredibly a majority of their budget goes for buying rock salt. 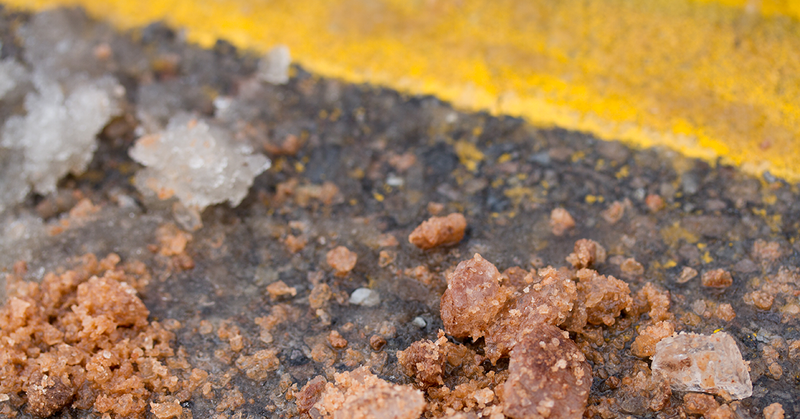 Traditionally, road agencies have used sodium chloride (NaCl), predominantly as mined rock salt and to a lesser degree as solar evaporated salt for snow-and-ice-control operations. However, a better product exists that can help agencies and contractors reduce costs and lessen impact to the environment. The product has been with us for over 300 million years; it is a complex red salt that contains sodium chloride, calcium chloride, magnesium chloride, potassium chloride and beneficial inert ingredients such as clay. Ice Slicer is recognized as a more environmentally friendly alternative compared to standard road salt because it can be used at lower application rates, which means fewer chlorides, are being released into the environment. The City of AnyTown USA can get Rock Salt delivered at a cost of $25/ton, and alternately Ice Slicer would cost $50/ton delivered. The city uses 400 lbs. of Rock Salt per lane mile to de-ice, while the City could be using 150lbs. of Ice Slicer per lane mile instead. This alone results in a Savings of $1.25/lane mile. Let’s say the city has 100 miles of two lane road to maintain, this is a savings of $250/storm. In addition, there would be a 17% reduction in Truck Fuel usage and mileage (wear and tear). Of course there would also be less hours to pay snowplow drivers by an estimated 20%. Therefore, this City of AnyTown USA could be saving more than $350/storm in Fuel & Mileage alone. And on top of this, you are using less than 1/2 of the product which is much better for the environment and better for the roadways as there is much less product to cause corrosion. Discover the deicing power of IceSlicer for yourself! Contact us for more information or to order today.